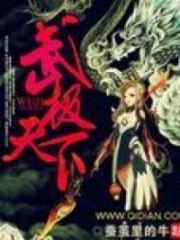 You’re reading novel The Demonic King Chases His Wife: The Rebellious Good-for-Nothing Miss Chapter 634-635 online at LightNovelFree.com. Please use the follow button to get notification about the latest chapter next time when you visit LightNovelFree.com. Use F11 button to read novel in full-screen(PC only). Drop by anytime you want to read free – fast – latest novel. It’s great if you could leave a comment, share your opinion about the new chapters, new novel with others on the internet. We’ll do our best to bring you the finest, latest novel everyday. Enjoy! Nangong Liuyun cast a cynical glance at him, pulled Su Luo along and just left. Su Luo nodded, her credit was indeed not enough. The implication, naturally, was to transfer his credit to Su Luo. “Don’t you feel that you have lost out?” Su Luo looked up, her clear eyes reflected that matchless-under-the-heavens, handsome face of Nangong Liuyun’s. Clearly, Nangong Yu had deliberately raised the price, obviously, they could have haggled over the price. “Where am I being insatiable?” She simply didn’t want to suffer a loss. “You are actually not stupid.” Nangong Liuyun smilingly looked at her, his eyes were full of a pampering and spoiling expression. When Nangong Liuyun came out, he simply didn’t choose any spirit treasure. Perhaps, he had already antic.i.p.ated from the start that Nangong Yu would demand an exorbitant price, like a lion with its mouth wide open? Perhaps…… even forcing Emperor Jin to open the Royal Treasure storage pavilion was something he had also planned for from the beginning? If it was like this, then Nangong Liuyun’s shrewdness was truly too deep. If you chose to be his enemy, how painfully difficult a matter would that be? Furthermore, each and every one of them were stronger than her, it really made him worry endlessly. Nangong Liuyun knew that she was a s.p.a.ce mage, therefore, when they entered the Treasure Storage pavilion, he had given her a gentle push, pus.h.i.+ng her into that room. Recalling the things from before, Su Luo couldn’t help but to guess this. Moreover, the more she thought about it, the more she felt it was correct. “This Miss doesn’t take the cute route.” Su Luo rolled her eyes in annoyance. Although he didn’t directly reply to her question, he indirectly gave her an answer. “As long as you like it, then it’s fine.” Nangong Liuyun smilingly looked at her, the corner of his mouth hooked into a devilishly charming smile that could entice all living things. Two people, talking and laughing, walked away from the imperial palace hand in hand. After they had left, Nangong Yu put on a brave face to give the news to Emperor Jing. Because of extreme anger, Emperor Jing even cursed vulgarly. “That loathsome girl……entered the most valuable treasure pavilion……and took, took away, three spirit, spirit treasures……” Nangong Yu’s head hung low as he nervously spoke. “Didn’t I order you to seize this opportunity to kill her? You moron! How could you do something so stupid! You still allowed her to take away three spirit treasures and withdraw safely!” Emperor Jing nearly went insane from rage! There was only this kind of explanation. It couldn’t help but be said that Nangong Yu, you hit upon the truth. However, Emperor Jing clearly didn’t believe it. A s.p.a.ce mage, how distinguished was one? If they, the court, were informed, then the entire Su Manor would not be able to run away from the riches and honor. “Then……” Nangong Yu was puzzled. Emperor Jing made a slicing off gesture. Nangong Yu accepted the order and departed. At this moment, it seemed as if Emperor Jing had finished venting his anger, his body slumping onto the red sandalwood chair behind him. If it wasn’t for the Jade Lake’s Li family pressuring him so tightly, he, in fact also didn’t want to do that to Su Luo. After all, the news reported to him regarding her, she at such a young age was already a fourth rank. Moreover, she had exceed the young talented Su Qing and force her to that stage. This was a talent ah, what Eastern Ling lacked the most, were talented people. However——The Jade Lake’s Li family truly pressured him too tightly, he really hadn’t expected, that the Li family would even threaten the four nations battle compet.i.tion over this matter of connection by marriage. If the Jade Lake’s Li family withdrew from the four nations battle compet.i.tion, then Eastern Ling would certainly lose. Furthermore, Eastern Ling would be defeated miserably! No, he absolutely wouldn’t allow this kind of thing to happen during his rule. Therefore, Nangong Liuyun, this time, most certainly will marry Li Yaoyao. Emperor Jing had this kind of secretive and devious plan to break up Nangong Liuyun and Su Luo. The Jade Lake’s Li Family also hadn’t stopped for a rest. Since last time, after the battle between the two sisters from Su Manor, the capital entered a tranquil state. Rather, this day, suddenly, an explosive piece of news was pa.s.sed along. The Jade Lake’s fairy had come to the Imperial Capital! This news was like a stone dropped into a tranquil, mirror-like lake. Immediately, all the people in the entire imperial capital flared up. How great was the Jade Lake’s fairy ah! That was the Jade Lake’s Li family’s most distinguished little princess! Furthermore, she was gifted since childhood with extraordinary martial arts. Even more important was that beautiful appearance of hers which was matchless under the heavens. That exceedingly refined temperament…… She was simply like a fairy from the ninth layer of heaven, above all the common people! Momentarily, everyone in the imperial capital spread the news, and the news spread continuously, raising the Jade Lake’s fairy to the level of a myth. Didn’t know if there was also someone adding fuel to the fire. Unexpectedly, there was a rumor that said that the Jade Lake’s fairy and His Highness Prince Jin had already been engaged since long ago. Once this news spread, immediately, the fervent atmosphere once again was pushed up like the morning tide. His Highness Prince Jin, the Jade Lake’s fairy. One was unsurpa.s.sed in martial arts, the other was gifted. One was matchless handsome, the other was devastatingly beautiful. One was unyielding and n.o.ble, the other was pure and cold like a lotus. Whether it was talent, appearance or temperament, both of them were the most outstanding among the younger generation. Moreover, they were also childhood sweethearts, growing up together as brother and sister since childhood under the same teacher! Following the rounds of information erupting, the imperial capital was lifted by bursts of frenzy. Everyone was saying that His Highness Prince Jin and the Jade Lake’s fairy were a match made in heaven. There were none who were more well-suited than them. Now, it seemed as if everyone had forgotten about Su Luo. Everyone was fervently talking about His Highness Prince Jin and the Jade Lake’s fairy. They were discussing how well-matched they were, what an ideal couple they were, how they were a match made in heaven……As if they were witnesses that had given evidence to this. 1) The rice having been cooked: Otherwise known as getting pregnant, a plot for a shotgun marriage. You're reading novel The Demonic King Chases His Wife: The Rebellious Good-for-Nothing Miss Chapter 634-635 online at LightNovelFree.com. You can use the follow function to bookmark your favorite novel ( Only for registered users ). If you find any errors ( broken links, can't load photos, etc.. ), Please let us know so we can fix it as soon as possible. And when you start a conversation or debate about a certain topic with other people, please do not offend them just because you don't like their opinions. You're reading The Demonic King Chases His Wife: The Rebellious Good-for-Nothing Miss Chapter 634-635. This novel has been translated by Updating. Author: Su Xiao Nuan,苏小暖 already has 12113 views. Current Time is Apr-21-2019 02:42:23 AM.